Play through the entire first level of the game. Should players choose to upgrade to the full version of the game, their save data will carry over. 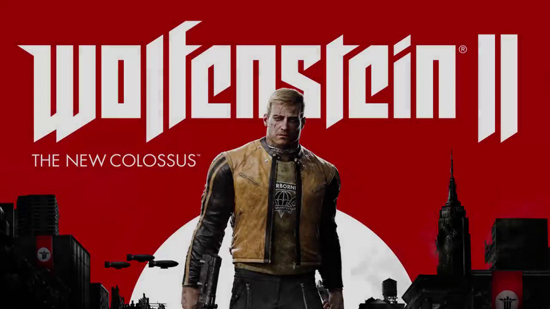 Wolfenstein II: The New Colossus launched on October 27 on PlayStation 4, Xbox One and PC, to widespread praise from the critics and community. Wolfenstein II has also been nominated in several categories for The Game Awards, including Best Game Direction, Best Narrative, Best Action Game and Best Performance (Brian Bloom as BJ Blazkowicz). Wolfenstein II sends players to Nazi-controlled America on a mission to recruit the boldest resistance leaders left. Players will fight the Nazis in iconic locations such as small-town Roswell, New Mexico, quarantined New Orleans, and a post-nuclear Manhattan. Armed with an impressive arsenal of fully upgradeable retro sci-fi weaponry, including the all-new Dieselkraftwerk, players can unleash new abilities to blast through legions of advanced Nazi soldiers and über soldiers in this definitive first-person shooter.